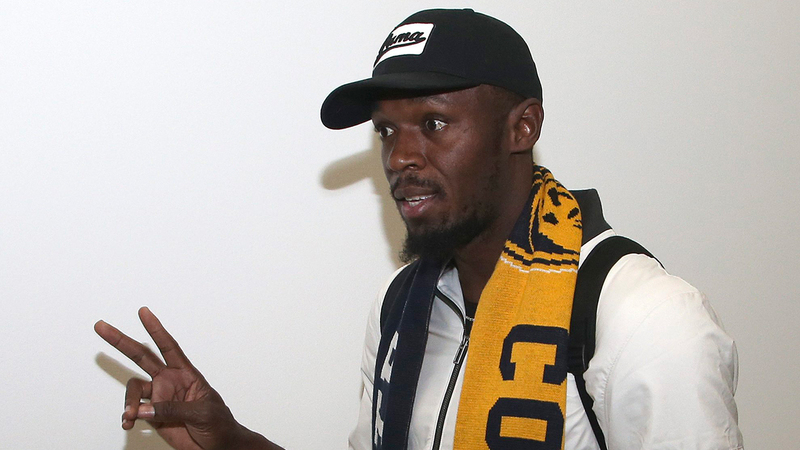 SYDNEY, Australia — Usain Bolt has arrived in Australia for his try out with Central Coast Mariners, saying his goal of playing professional football is "for real." Mariners officials say Bolt will train with them for an "indefinite" period, allowing the 31-year-old Jamaican every chance to prove he has the ability to play football professionally. Bolt has accepted that challenge. "I’ve said all along this is for real and I’m here to show what I can do," he said. "I know what I’m capable of and I know what I can do, so this is the opportunity. "I’m here forever. That’s the plan. I’m really going to push myself. I’m going to work hard and I’m looking forward to putting my best foot forward." Mark Leadbetter, chairman of the Mariners’ official supporters club, made the one hour drive to Sydney to greet Bolt and determine for himself if he thought the sprinting great’s A-League bid is genuine. "Nothing’s impossible. As long as it’s based on football principles, why not? I get the impression that he’s been genuine about this and so has the club."